Scott Archer, left, and Tim Murphy, both with Shaw Solar, place 12 275-watt solar panels on a home west of Durango in 2014. The city has since changed its permitting process to make it easier to install solar panels. The city of Durango has made it easier for residents to obtain permits and install solar panels, and it has earned the municipality national recognition as a solar electricity-friendly community. Since April 2018, the city has issued solar permits over the counter, a process of approval that used to take weeks, said Sustainability Coordinator Imogen Ainsworth. The switch earned the city a SolSmart Gold designation, a recognition by a federally funded program that has partnered with different solar-focused organizations that work to help communities remove red tape and reduce the barriers to solar energy. “I think a lot of it was a better understanding of what we we’re looking for,” Ainsworth said of the changes to the permitting process. Before the change was made in April, anyone who wanted a solar panel would have to complete a building permit. The city made it easier by asking for specific information up front, such as array location, the dimensions, square footage and height of solar panels, Ainsworth said. The city also designed a solar web page with resources about the benefits and means of installing solar panels. When the city was given a SolSmart silver designation in December 2017, Ainsworth said Durango had enough points on the SolSmart scale to receive a gold designation, but its permit process took too long to be recognized in the top tier of solar accessible cities. City employees began to rewrite the permit process after the city got its silver designation, Ainsworth said. 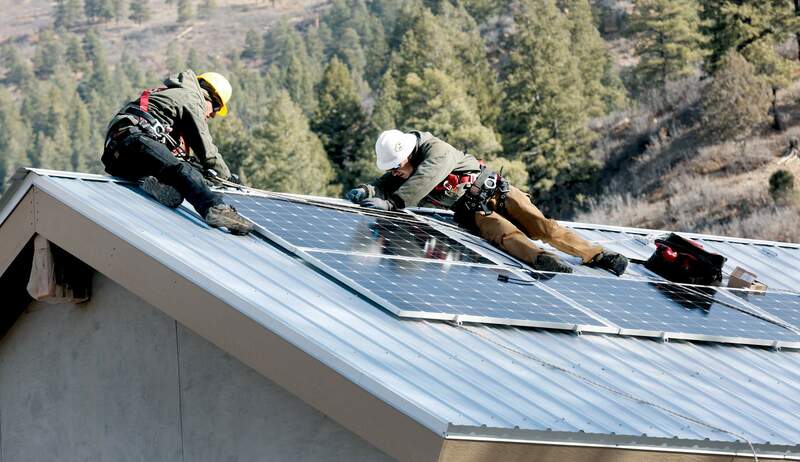 The new process allows for same-day permitting, something that streamlined the process, said Lindsay Harmon, project coordinator with Shaw Solar in Durango. The change to make it easier to get permits comes as more people locally decide to buy and install solar panels, Harmon said. Since February 2018 through the end of the year, about 50 permits for commercial and residential panels have been issued. It is not just environmentalists who are getting into solar – some people install solar panels for the cost saving associated with alternative energy, she said.